Award Keylogger is a fairly popular spyware that is advertised on many websites as a powerful real-time tracking tool with rich functionality. This prompted us to test Award Keylogger. However we could not see all the listed functionality, although we have tested the last full-featured version. This program has been slightly better than an average spyware. COVERT hides all users’ actions in the secure platform from monitoring by Award Keylogger as well as from all other spyware. You should click on the “Log in the secure platform” button and run all the applications that you need to your work. Logs of the spyware will be empty. If you want not only to hide your actions from the tracking software, but also prevent the leakage of confidential information about your past activities, we recommend you to disable the browsing history and disable the saving of the chat history in the messengers. Most of the spyware that we studied steal users’ information from saved history. If you decide to remove Award Keylogger, then you need to find the components of the spyware through COVERT Pro special monitors. We can find the file wak.exe in the “System Process” monitor, but it does not exist in the system task manager (in the list of processes), because it hides itself. The same process we can see in the clipboard monitor. (This monitor can be opened through the context menu which is in the top frame of the program’s window). We can see the library wak.dll in the Monitor DLL. We can find the service “Run software as Windows service” in the monitor “System services“, which controls the operation of the main process wak.exe. New versions of Award Keylogger may have files with the different names and they can be located in other folders, so this article should be considered as a guide for finding the components of the spyware program. New names may not be in the Database of threats, so they will not be highlighted in red in the process or library lists. If the analysis finds libraries highlighted in yellow, then you should find out – which program they belong to, using the context menu, where you should select the item “Search for information in Internet“. Award Keylogger was detected and now it can be deleted. Disable the service “Run software as Windows service” through the context menu of the system service list, as shown in the picture above. In any monitor where its file was found, you should right-click on the line with this file, and in the context menu select the item “Open the application folder“. In the folder, you need to run the uninstallation file unins000.exe. After uninstalling, restart your computer and check COVERT Pro monitors. 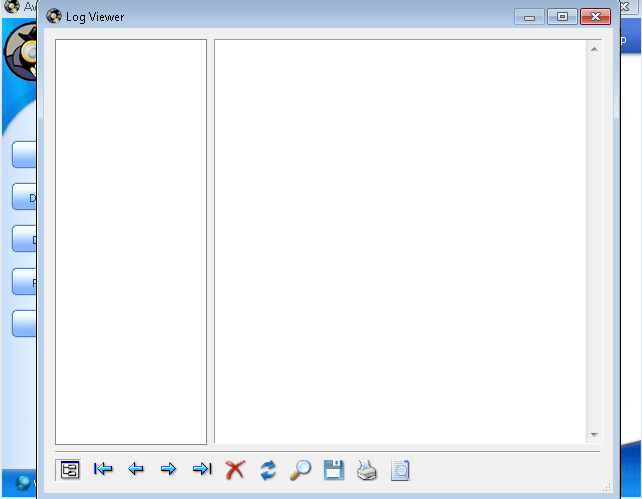 There are no spyware processes and the Award Keylogger is removed. 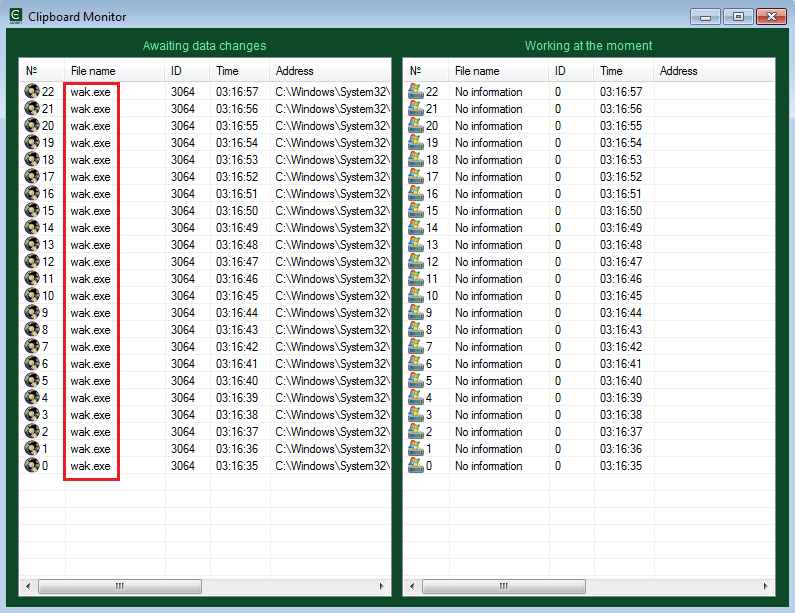 The online scan of the wak.dll using 39 antiviruses shows that only one antivirus thinks it is dangerous for the user. This is a fairly common picture for spyware. Do not rely on your antivirus if you want to find a spyware or hide your activity. We rate this spyware program as RLM: 5 / 2 / 3. Download COVERT Pro and check FREE of charge your computer for spyware and rootkits, which were not detected by an antivirus.